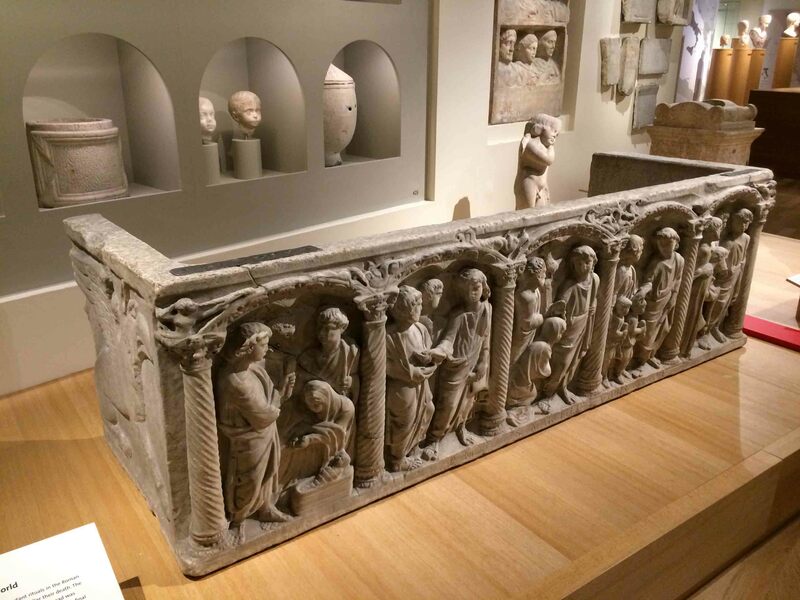 Having discussed material cultures made for the funerals of Villanovan and Etruscan societies, and how they operate in museums as citations to cremation practices in the human past, I’d also like to highlight the fabulous display of Roman Italian and Turkish funerary sculpture dating to the 1st-2nd-century BC to 2nd century AD in the Rijksmuseum van Oudheden, Leiden. I was in Leiden for a day workshop on cremation in the Early Middle Ages, it was therefore a real privilege to get the opportunity to explore the fabulous RMO and its widespread collections of antiquarian-plundered grave-finds. Despite being disassociated from their original mortuary contexts through processes unexplained by the contemporary exhibit, they do serve as indirect allusions to past mortuary ceremonies for modern visitors. Indeed, something of an original memorial context is afforded by arranging a diverse range of 7 urn-shaped and tomb-shaped stone-sculpted cinerary cists, arranged together with 3 busts, and a pair of sculpted heads, within a series of niches to evoke the architecture of Roman columbaria (pigeon houses) for the cremated dead of high-status families and collegia (professional associations). These were fronted by some striking further examples of Roman cinerary cists and a sarcophagus, and to the side a family of busts. 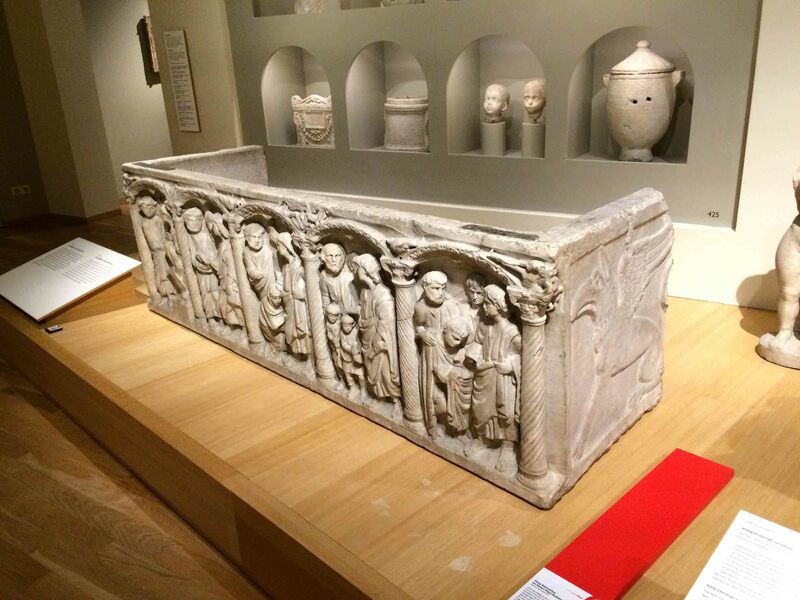 The accompanying text explains the emphasis on procession and the treatment of the dead in Roman funerals, and the importance of busts and death masks in commemorating ancestors during funerals and in the home. Yet justice is hardly done to the material evidence on display by the simple statement ‘dead bodies were cremated and the ashes were kept in small urns with inscriptions.’ Not only were both cremation and inhumation practised contemporaneously and in varying proportions in Italian Roman cemeteries, but the nature of cremation practices that led to the cinerary urns’ contents – themselves not displayed – is not explained. So, again, we have a sense that cremation is sublimated and concealed, but cited indirectly, in these dispalys.